A neat app that harnesses technology to try and teach drawing skills. Drawissimo is an app built on an interesting premise - that of converting an Android device into a sophisticated tool for tracing pictures, and ultimately learning how to draw. There is an ad supported version also available, which gives you the chance to download the app for free and try it out for yourself before spending money on this ad free version as reviewed here. Apart from the presence, or absence, of advertising the two apps function in exactly the same way. It is worth understanding a little about how this app works before committing to buy it, since not everyone will want to use it in the way it is designed, for reasons that will be explained later on within this review. Back to the app then, and it is perhaps not entirely intuitive how it works when you first switch it on, as it has no first time walkthrough or instructions pop out, but it first asks you to choose a picture that you would like to learn to draw. After this, you are presented with the picture, which you can manipulate to fit nicely on the screen of your device, using zoom, rotate and standard image manipulation functions. At this point, you also have the choice to access the help screen, which is basic but explains what to do next. Namely, press the on screen button to turn on your device’s camera and prop the device up in such a way that you can see a blank sheet of paper through it. This is where some parents and teachers might be having second thoughts. The app suggests using a cup or something similar as a base for the device. We tested it using different devices - phone, mini tablet and full sized tablet - and whilst each was possible to balance in this way (a tall plastic box under each end of a tablet seemed to work well), it is worth considering whether you want an expensive device balancing on top of other household items, especially when a child’s hand will now be waving around underneath it all without them being able to see where parts of their arm are about to knock. If you are relaxed about the setup, however, the app is fairly rewarding to use. There is a good range of different images to choose from, and the pictures are broken down nicely into steps to complete on the way to the finished drawing. Once you have practised a bit and got used to the fact that you see your hand on the screen but not in real life whilst you draw (and the position on the screen is not the exact equivalent place to its true location, just to make things a little more difficult), you can come out with some pleasing results with minimal natural drawing talent. This would certainly be fun for a child to use, and they can also opt to take photos which are then turned into drawing lessons in a similar way, which is a lovely addition. As an educational tool, though, it is not really teaching drawing skills any more than tracing paper did back in the day. 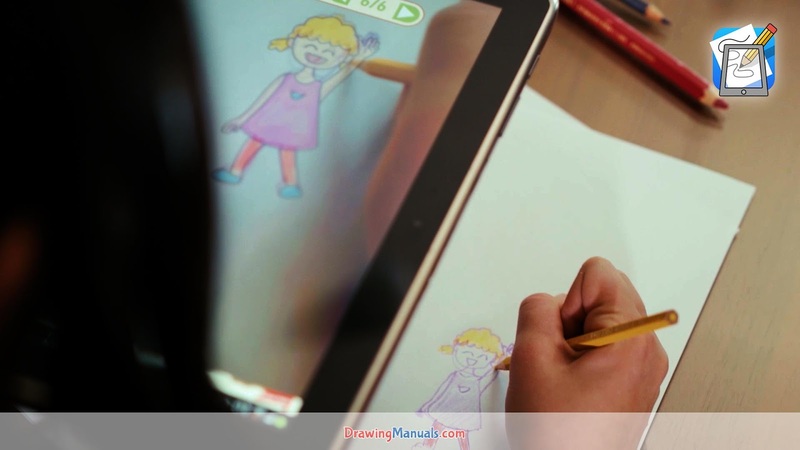 Children could follow the on screen steps to repeat a drawing, but then the app’s real purpose is not being realised. Overall, this is a good way to encourage children and maybe spark some creative ideas, but only if you are happy with your Android device being used in this way. This is an ad-free version of Drawissimo Kids - Draw and Enjoy. You can now use this drawing app without being disturbed by the adverts. The app consists of step-by-step drawing tutorials of everything you could imagine, beautifully created for children and adults. Be inspired by the unique drawing method which can be used via your device's camera lens. Our app is truly one-of-a-kind. It is the only app which instructs you how to draw directly on paper and not on the device. Just follow the drawing tutorials we have prepared in order to draw hundreds of different illustrations. All you need is a tablet or smartphone and a pen and paper. 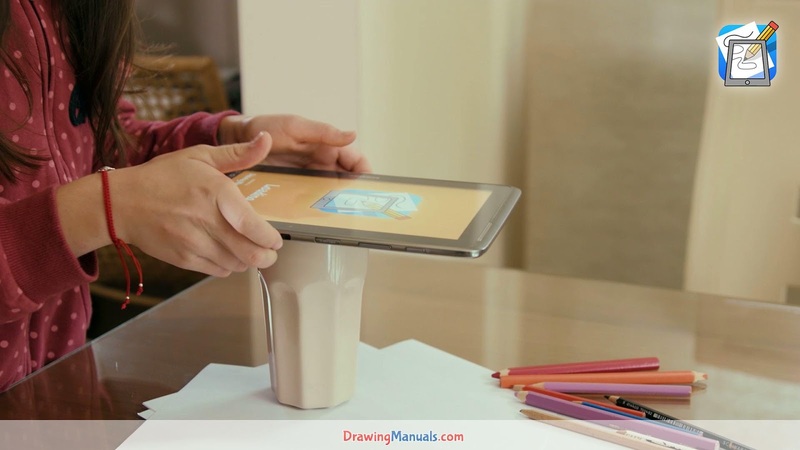 Find a cup, glass or holder for your device and start drawing! The app was designed with children in mind, but adults find the easy method a lot of fun too. Give it a try and let us know what you think! It is currently featured for tablets, but works great with your smartphone too. Learn How to Draw Animals, Anime, Manga, Cars, Dragons, Aliens, Monsters, People, Cartoons, Superheroes, Flowers, Dinosaurs, Kids Drawing Tutorials, Toddlers Drawing Tutorials and much more.